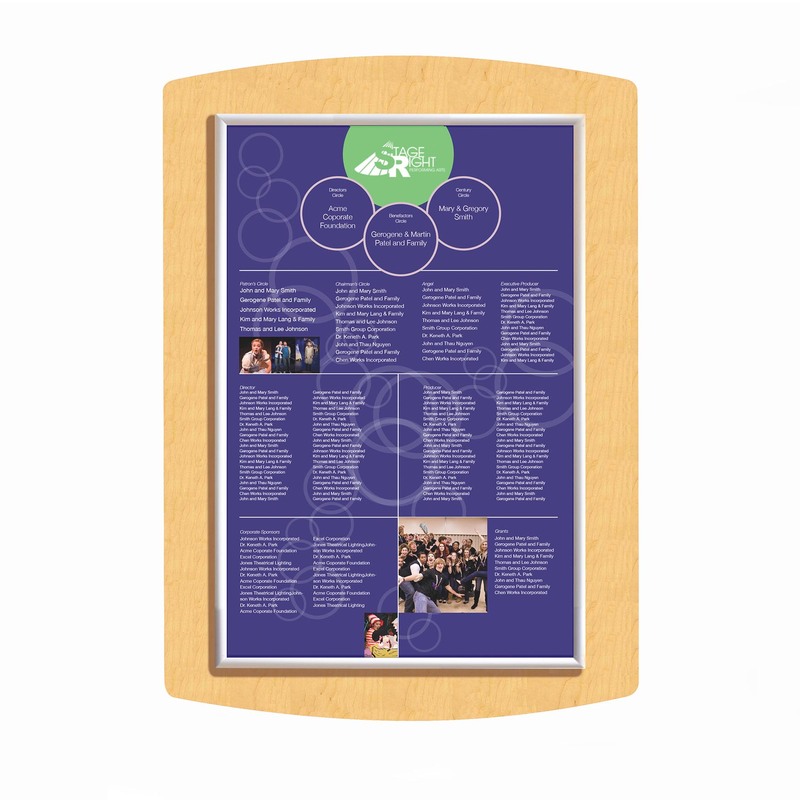 These donor recognition boards are a perfect economical solution to keeping your donors updated annually. 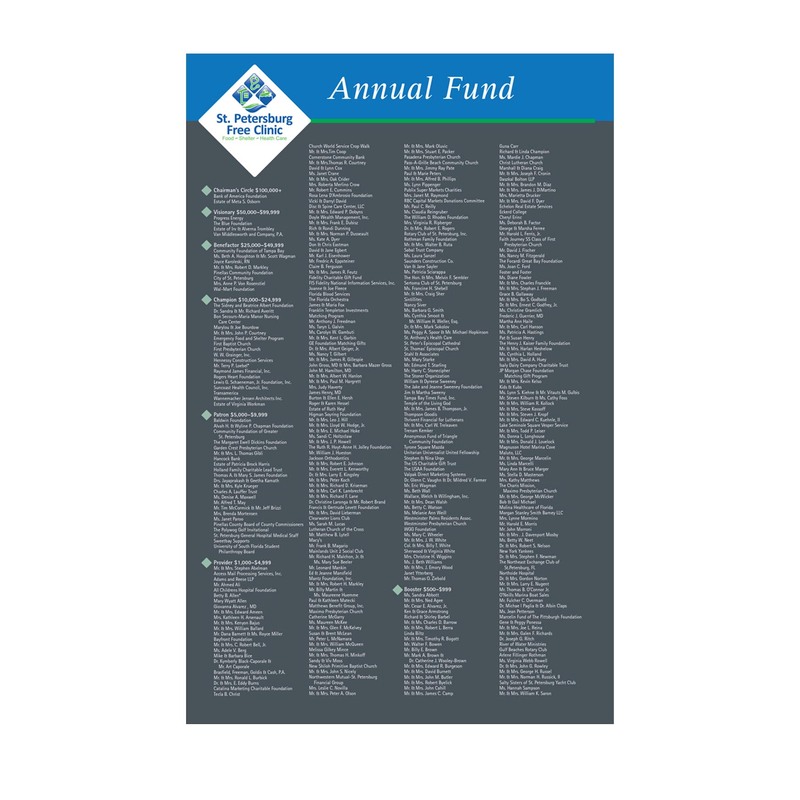 Donor names are printed on large format paper and covered with a plastic laminate. The laminated inserts are placed in an aluminum frame. All four frame edges snap open to allow easy insertion and snap shut to hold it in place. The insert is covered by a sheet of non-glare acrylic. 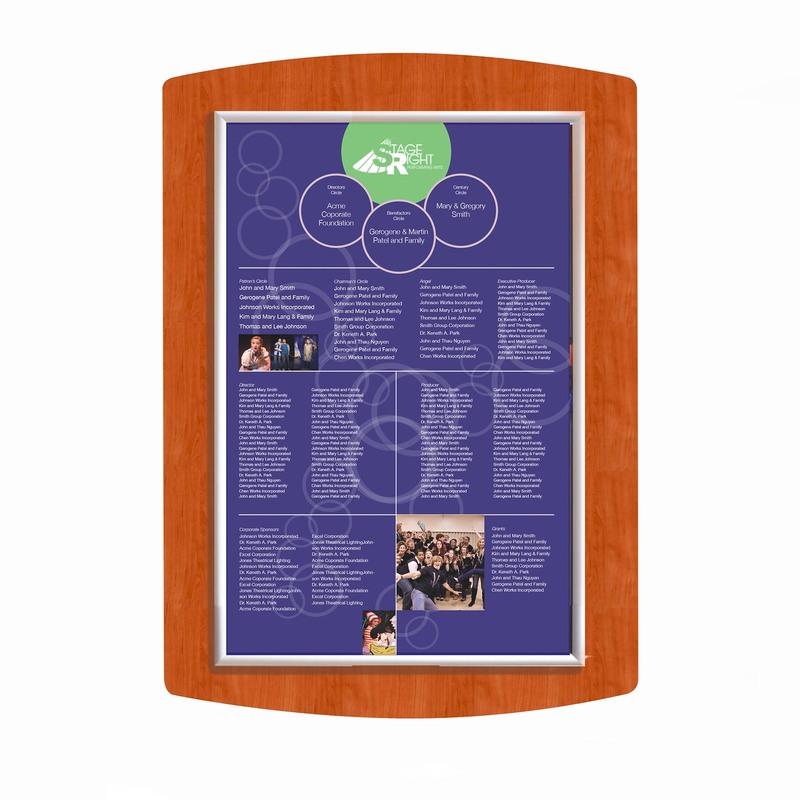 The frame adhered to a back panel that is 42″ tall x 31″ wide and comes in mahogany, maple, cherry, or acrylic. 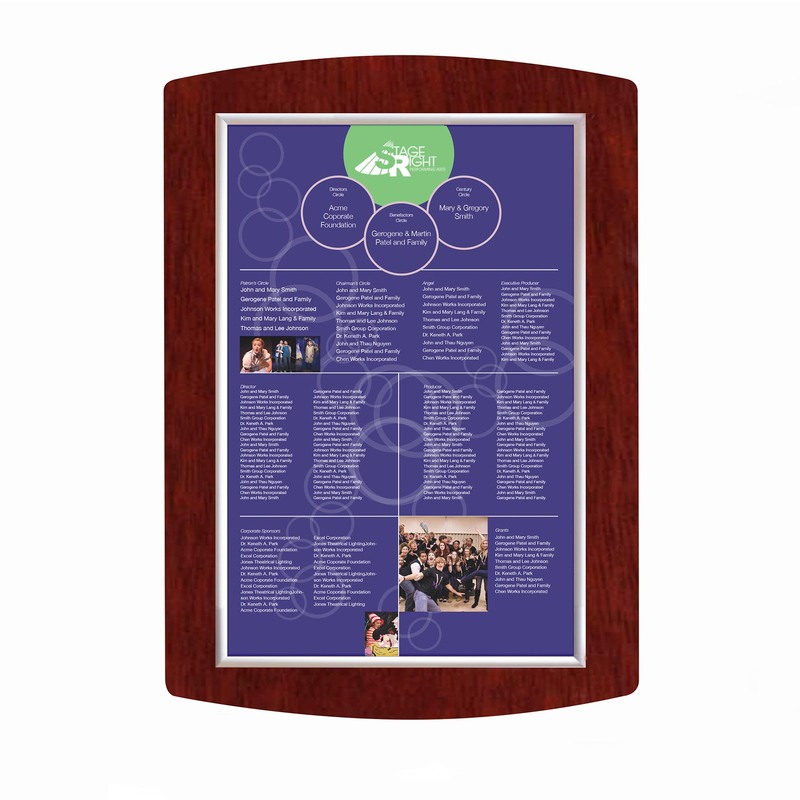 It typically takes our designers 1-2 business days to create a design layout of your custom recognition plaque. This detailed shop drawing is submitted for your signed approval before payment is needed and production begins. 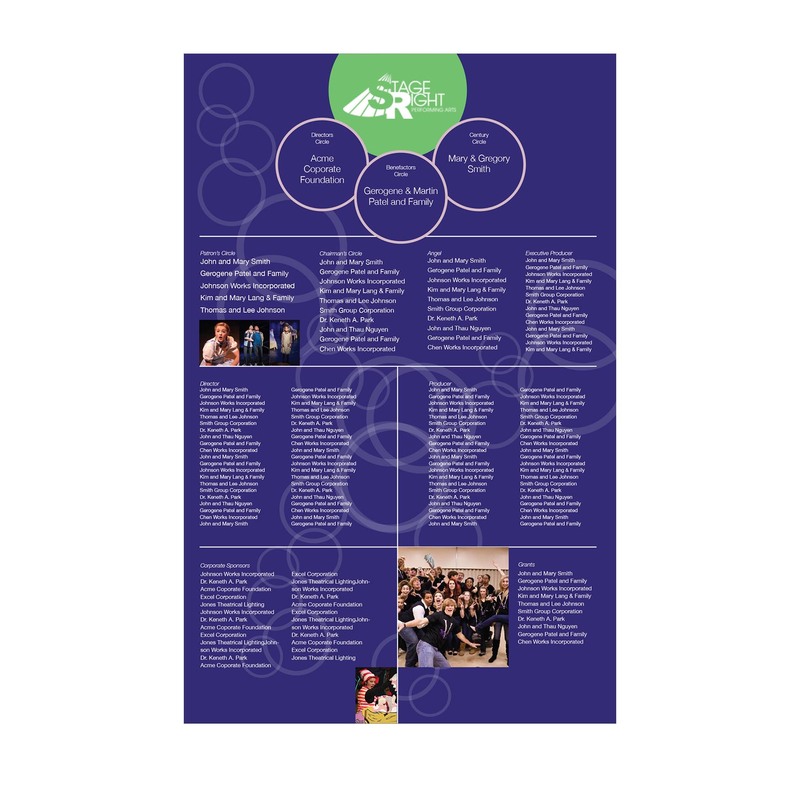 Revisions are welcomed; we want to work with you to create the perfect recognition for your organization. Production of this plaque can take 2-4 weeks. If you are on a timeline let us know; we will work with your timeline and get your plaque finished for your event! The installation method for this plaque is stud mount. Along with your plaque you will receive a set of studs, a tube of silicone, and a drilling template. Installation is simple with detailed instructions and all hardware included in each package. Installation requires two people, a drill and a level. 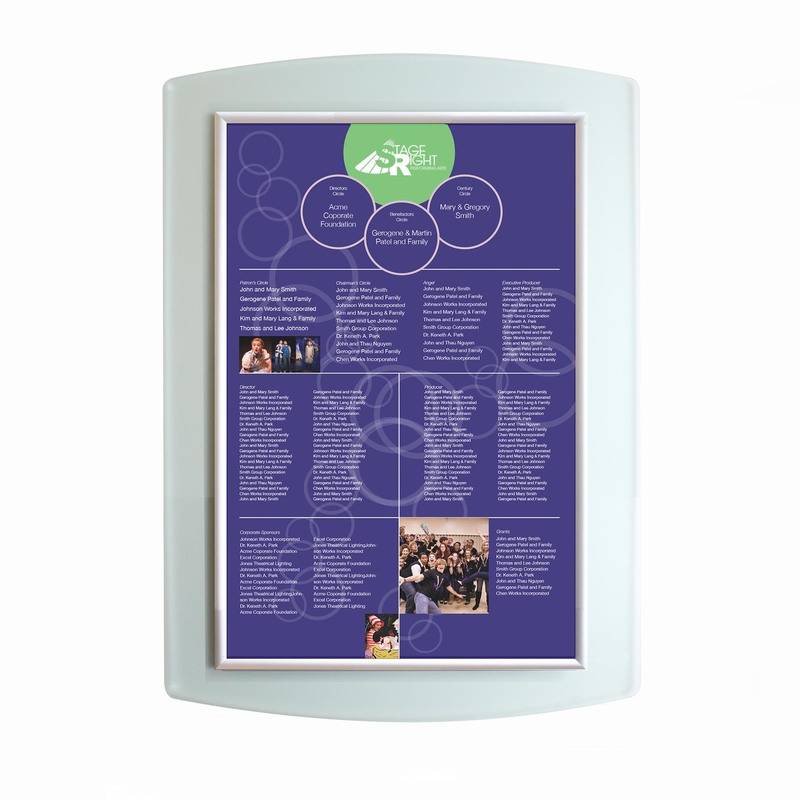 Our Easy Frame Wall System is an easy to update and affordable solution for all non-profits. Recognize up to 280 donors with the ability to update annually with ease. Fill out the form below to see what your Easy Frame will look like; Please specify if you have desired font, logos, or color preferences.